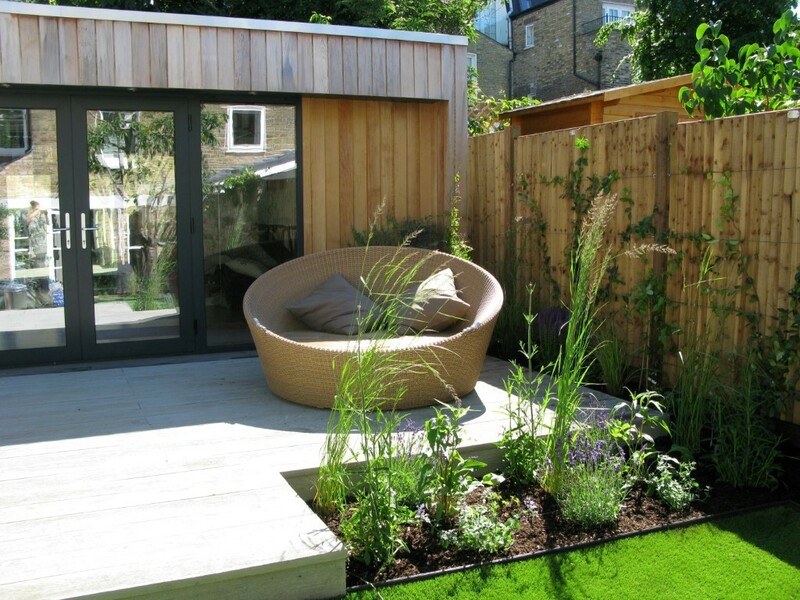 This terraced house in Clapham had a medium sized garden in need of complete renovation. There was a newly built, contemporary-style gym to the rear of the garden, and overgrown trees and shrubs all combining with a tangle of weeds. 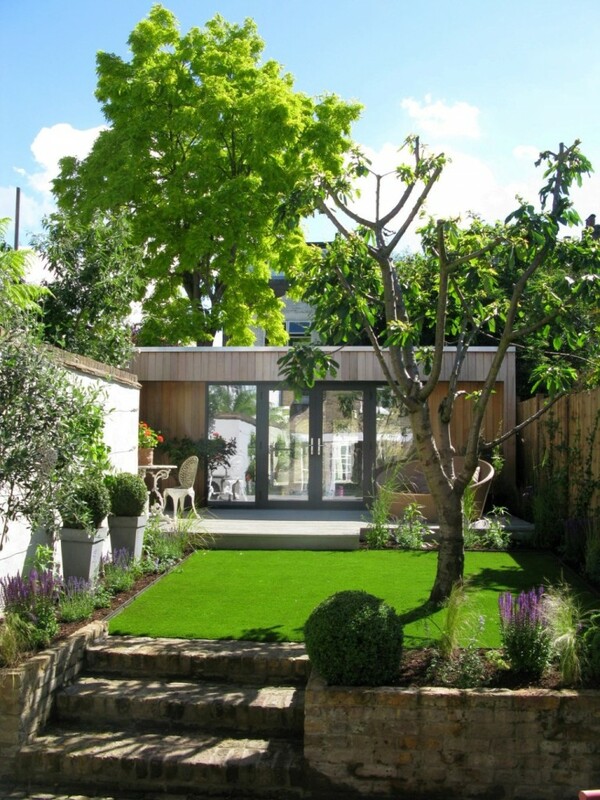 Our client wanted to create a beautiful, low maintenance garden with plenty of interest throughout the year. 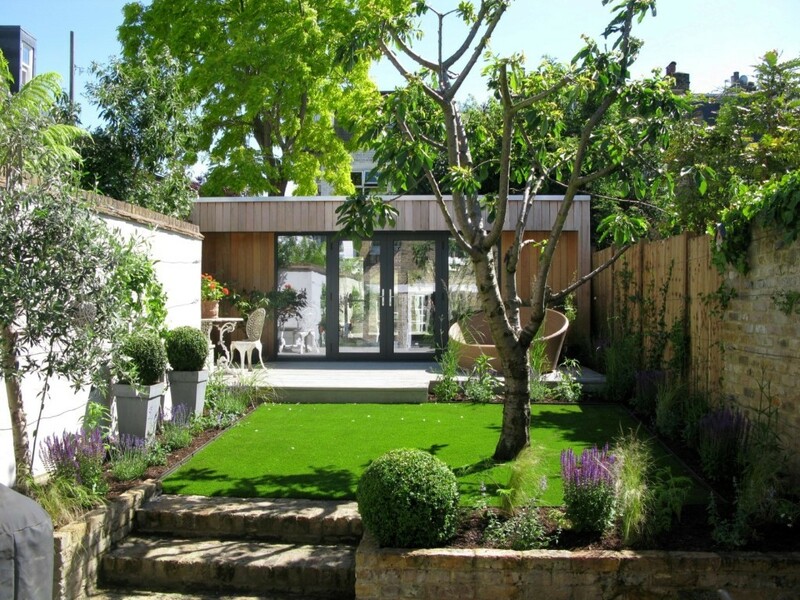 The gym was used to take clients for personal training and yoga sessions, so access through the garden needed to be pleasing, mud-free, with grass which could cope with their small dog. 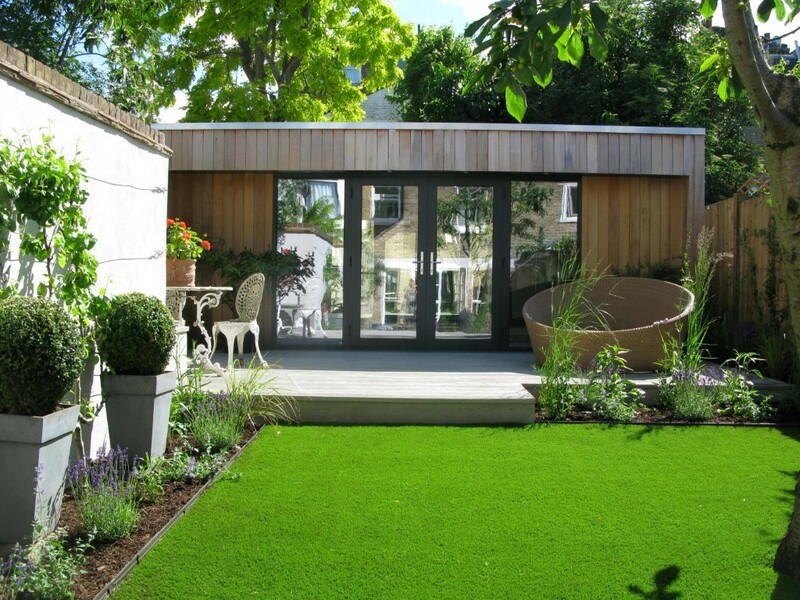 We designed the garden with a large, limed grey composite decking adjacent to the gym (non-slip, no maintenance) which also allowed for our clients to use also use it as a place to train. We added new fences, removed overgrown shrubs and weeds, and pruned trees to tidy the garden up. 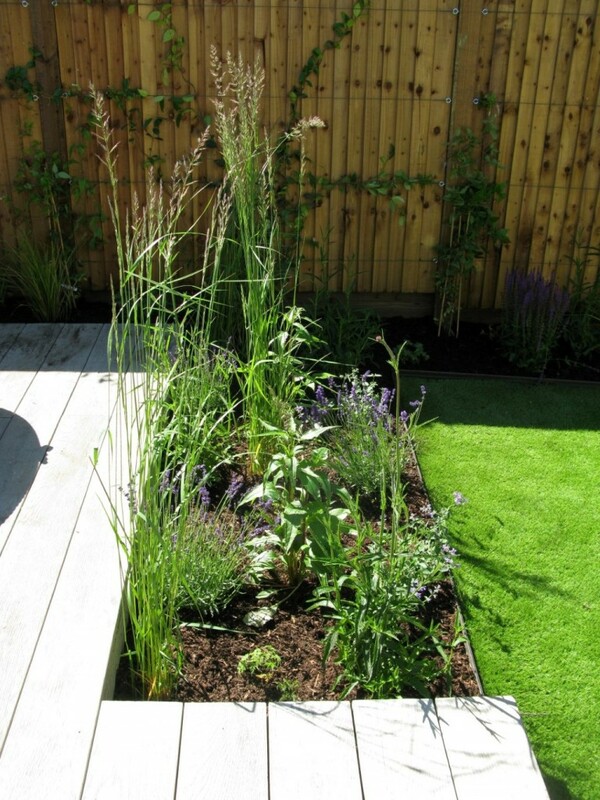 With a colour palette of lilacs, whites and purples we chose to plant grasses such as Calamagrostis ‘Karl Foerster’ alongside many others, including Lavender and existing Olea. These tall grasses (which also surround the glasshouse at Wisley) turn from their summer green/purple into golden pillars come winter and, unlike many grass varieties, stay robustly vertical throughout the winter months. 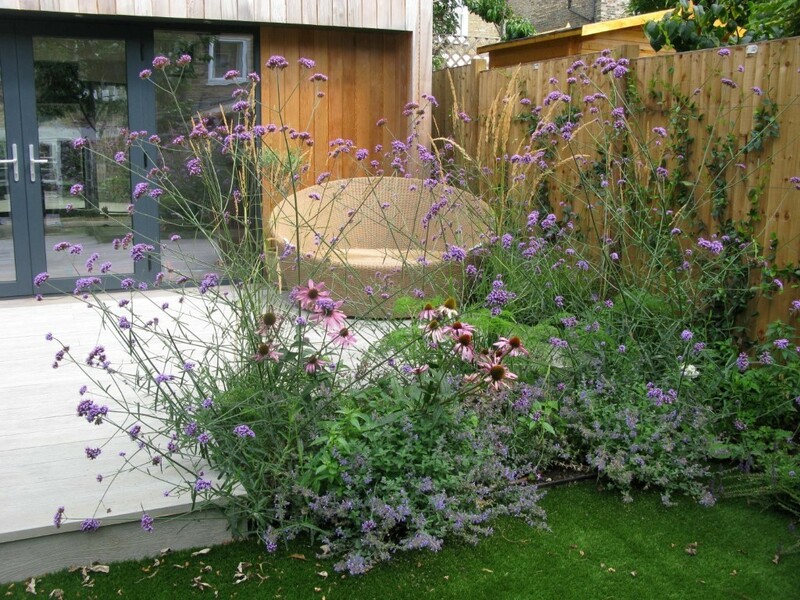 To complement the informal planting, several Box balls added contrast, form and good year round structure. Fan-trained fruit trees were planted to one side of the garden – apple, pear and plum – promising flower and fruit for future years. 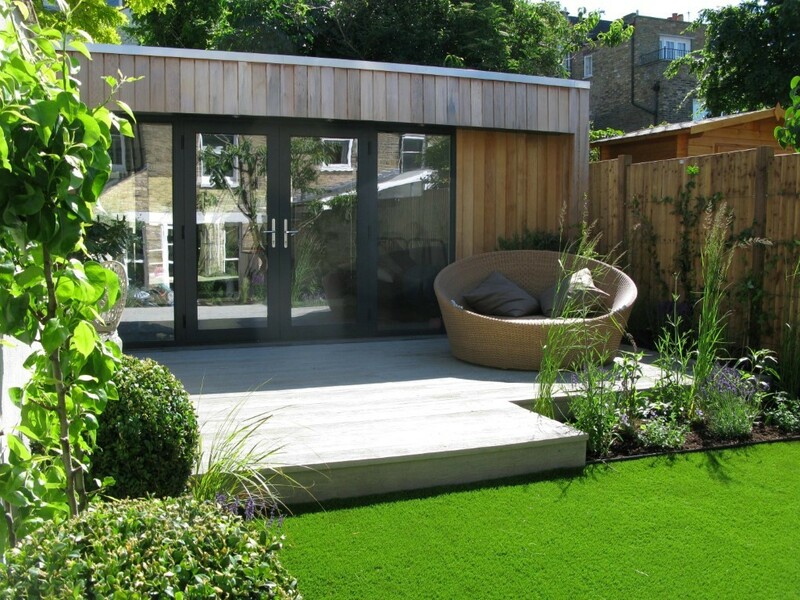 Best quality and dog-friendly artificial grass was laid to ensure the garden could be used all year round. At all points of the year the garden looks different, reflecting the seasons but still with the ability to be used and enjoyed.